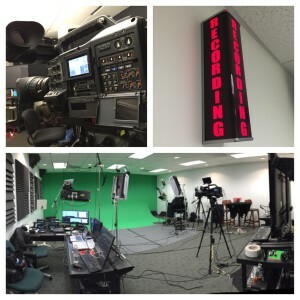 Orlando and Las Vegas were the locations for 2 multi camera live webcasts for Silicon Angle. 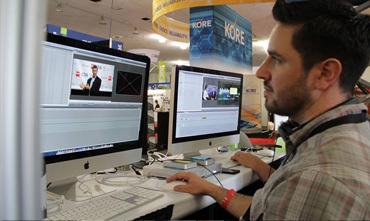 ICV provided all video production staff for the multi-day, show floor production events. Rolling out our mini flypack mobile production racks we deployed our Panasonic HDX3100 Fiber Cameras and Tricaster mobile video switchers. The Tricasters we use for Live Webcasting allow for complete video production control on-location, and we use them in our studio. The 16-channel switcher makes it easy to switch between our Fiber cameras, add roll-in videos, mix audio, add custom graphics and titles, and effects like animated transitions. Live streaming, on the fly editing with lower thirds, graphics and feeds from various locations on the show floors, these live events keep us on our toes. With ongoing Hosted interviews with industry leaders, we capture and stream constantly while shooting and cutting roll-in segments from other locations on the show floor.Editors are busy in Premier Pro and Final Cut putting the clips together and broadcasting them in cue. Wireless comms, and multiple TD’s make sure we are always on the mark. 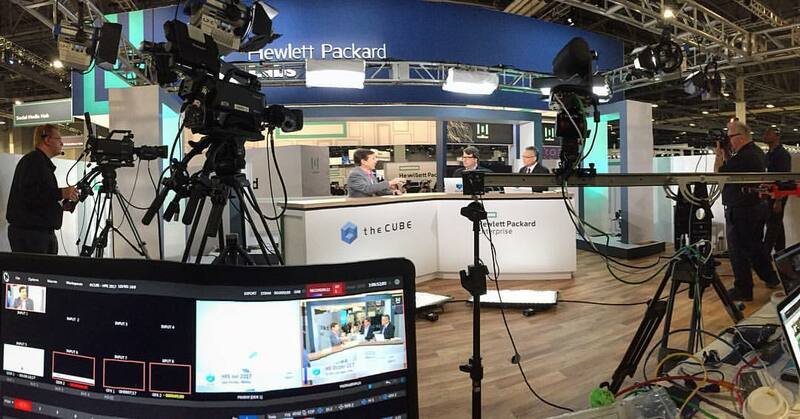 Using ICV live webcasting production services gives Silicon Angle the flexibility to run these live conference webcasts and interview shows in multiple cities at the same time. With staff on both coasts, ICV can deploy and produce webcasts anywhere in the country and beyond. Now on to San Francisco where we’ll be at AWS.